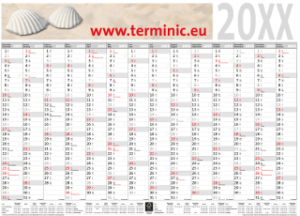 Poster Calendar Top 14 90-65 - Order online at terminic now! A little smaller and more compact than his big brother – the Top 14, Model 99-69. It is just as good as his big brother as it relates to its promotional effect and its benefit in everyday life. 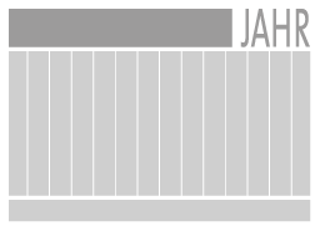 14 months at a glance (the twelve months of the current year plus additionally December of the previous and January of the following year) enable a long-term planning beyond the current year, and due to the panorama promotional area, your advertising is always in view of your customers, business partners and employees. Like that, you incidentally leave a lasting impression with your target group.